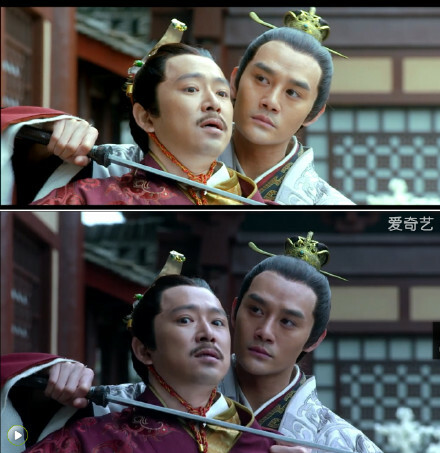 Nirvana in Fire vs The Disguiser, which opening is better? Shandong has produced three of my favorite three openings in the past year. 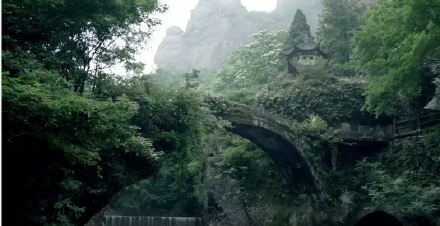 Epic stories requires equally beautiful openings, and Shandong Television Group does not disappoint. I definitely fell in love with both that of Nirvana in Fire 琅琊榜(Hu Ge, Wang Kai, Liu Tao) and The Disguiser 伪装者 (Hu Ge, Jin Dong, Wang Kai) even with just the openings. What’s your favorite opening by them recently? P.S. Did you know that Shandong’s last awesome production, All Quiet in Peking 北平无战事 (Liu Ye, Zu Feng, Wang Kai), is available with English subs? This entry was posted in Drama, Mainland China and tagged Hu Ge, Jin Dong, Nirvana in Fire, The Disguiser, Wang Kai by idarklight. Bookmark the permalink. Watching The Disguiser at the moment and loving it. That’s saying a lot for me as I normally dislike republican era and war genres, especially things with so much political undertone like The Disguiser has. 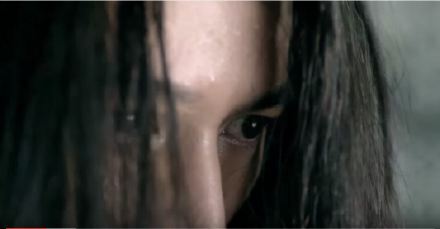 But the cinematography and acting are amazing – I feel like I can screenshot every scene and make it into my wallpaper. The story has also been fast paced without too many draggy type scenes which is a bonus. I usually avoid Republican + war dramas, too, especially espionage ones that tend to be very depressing, but The Disguiser is definitely my favorite drama of the year. So much tears and laughter, fun and suspense. I love how it manages to stay fun despite the time period, how the Ming family has moments of joy and love in spite of their struggles. Also, Ming Lou and Ming Cheng <3 I'm constantly struggling between wanting to marry both of them, and wanting them to be together forever. They're both so perfect, and their relationship is so transcendental that to call it love is almost degrading. Ming Lou's actor Jin Dong actually said he talked with the director to add scenes for Ming Cheng because he felt like Ming Lou needed him by his side. Yes! I soooo adored their bromance. It’s indescribable. But at the same time, I feel like Hu Ge as the youngest brother was so left out. They all saw him as the kid (and he was a kid) but I felt like there wasn’t as deep a bond between Ming Tai and the other two and those two have with each other. It’s almost like they were on a whole different level. As in, Ming Lou and Ming Cheng were confidants, where as tbh, Ming Tai was treated as just a chess piece. They’re brothers, but Ming Tai is never treated on the same level. There familial relationships always contained that hint of controller-vs-puppet. More like, their relationships always had that feeling of Ming-Tai-is-the-subordinate-whereas-MingLou(and by virtue Ming Cheng)-is-the-boss. Ming Lou and Ming Cheng are just extremely lucky to have each other. Like Ming Lou said, “You’re lucky you have me by your side. Ming Tai’s got no one.” But at the same time, I think that Ming Tai kind of represents the innocence and impulsiveness of youth, the period where he doesn’t really know what’s right and his world view must adjust to reality. Like Ming Lou said, he still has time to chose what he wants to believe. But Ming Lou and Ming Cheng have already chosen so long ago that they have a faith he lacks. Plus, he’s got the girl to be his soulmate? Also, I think the Ming family just has a huge age gap that their interactions aren't really like brothers and sisters. You can tell that only Ming Cheng treats Ming Tai like a brother in that only Ming Cheng picks fights with him, while the other two act more like his parents. I didn’t know about All Quiet in Peking being subbed in English! Thank you! Hmm I would disagree with idarklight on the comparison between Hu Ge and Wang Kai. As the fur thing is so big, it sort of envelopes him, and to me, it makes him look more vulnerable. Purely because he’s the only one in furs whilst every other character isn’t. It makes him seem a bit more feeble than the others…and a little sickly. As for his voice, yes it is strong…but it’s also slow and deliberated…with less conviction than most of the other characters. There hasn’t been much interaction between Liu Tao and Hu Ge…well enough for me to form an opinion about the relationship anyway. I like that the lighting is a bit dark. It adds a sort of sombre and morose atmosphere to the entire thing. Plus, is it meant to be winter?…so I kind of like how ‘grey’ everything is. The trailer feels like a long, beautiful watercolor painting, but the actual show doesn’t. It has parts where the actor’s faces look red or purple or even green. Either something wrong with lighting, or they did not adjust the colors properly. This is easiest to see with the bright colored make-up and headdress of the court ladies, because in the trailer, everyone’s costumes look like a part of the painting, but without the right lighting/tones, they can sometimes look cheap. Maybe just me but I love the lighting for nirvana and the cinematographic, how everything was just film beautifully…. it makes it look more serious and less idol like drama…. Ive watch many historical drama and most of them have so much bright color lighting and clothing that makes everything look fantasy like, I hate it but nirvana looks beautiful and realistic…. I think we want the same thing, which is why I’m slightly disappointed. Maybe lighting isn’t the right word? Here’s an example of what I mean. As you can see, the trailer looks like a watercolor painting. The actual aired version is like someone from Yu Zheng’s camp came and boosted up the color saturation by 100%, and took out the soft blue tones and replaced them with bright red and green. Here’s another example. The top one is from the trailer, the bottom one is from the aired version. Their faces look almost purple in the second one. huh….maybe it’s my laptop screen, but I honestly don’t see too much of an issue with the contrast in costuming…as for the actor’s faces….they all look flesh toned to me? I can’t choose, I love both opening, it is hard to watch both disguiser and nirvana at the same time airing… Love both drama right now…. Wow, it’s been a long time since I’ve seen a drama OP that is just background music rather than using a shortened theme song. 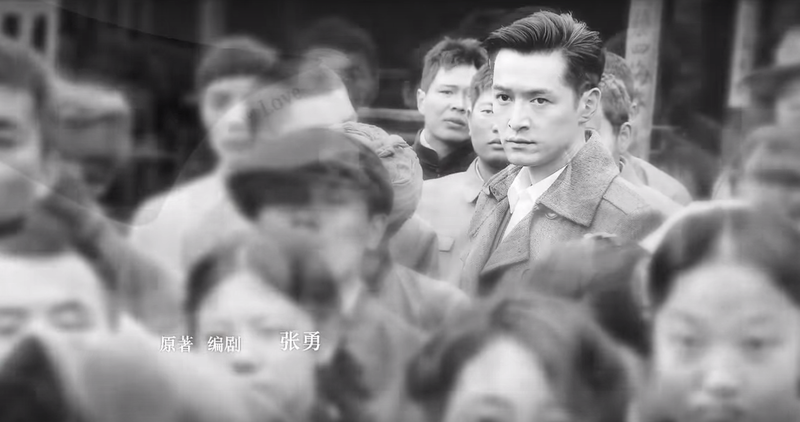 (The last one was… Huang Xiaoming’s An Xiang, in 2009, I think? lol.) Both OPs here are done really well, with beautiful music. I really enjoyed NIF’s opening. I liked it mucho.The last drama OP being just music I saw was 海上孟府 (Meng’s Place/Meng’s Palace, 2015). It had me hooked and I marathoned it within a few days. Totally worth the backache I got as a result of it. Baha. No English subs, but you don’t need it to get the feel from the opening. I like how fast-paced it is, and how much has happened in two episodes. Hu Ge is way too large compared to Wang Kai, and I think the fur only makes him bigger. It doesn’t help that his voice sounds too healthy. I love how Wang Kai used a more mature and deep voice for this role compared to all his previous roles. The only bad thing is he’s too skinny for his role. Also, I don’t think his character ever smiles in the show, which is unfortunate because he has the prettiest smile. Jin Dong is beautiful, but him being pretty and fighting with the swords is kind of out of place. Sad that he and Wang Kai has no scenes together. Liu Tao is gorgeous, but again, she and Hu Ge are kind of weird together. Banruo’s make-up isn’t as pretty as she is in The Disguiser. I think it’s the eye make-up. Wu Lei is adorable. It’s amazing how much he’s grown in the past two years. Prince Jing’s mother … I can’t help but expect her to break out yelling any moment because of The Disguiser. Same with Xie Yu. I’m expecting him to pull up Meichang Su by his collars and start choking him any second now. The lighting is not nearly as good as expected. Some of the women’s headdresses are way too much. I knew there would be a discussion on NIF already. I just finished both episodes and I am a fan. I know we had a chat about the Disguiser, and based on the number of same performers/produciton, I know I have to pick up episode 2 at some point. NIF is amaze-balls so far. Baidu and Wikipedia didn’t say, and I may have missed it, it looks like it’s going to be airing for a month or so. So that means 2 episodes/day or something like that? Anyone know? Yep, 2 episodes per day. The Disguiser ends on the 29th I believe. By the time Nirvana in Fire ends, Close Your Eyes and Close to Me/Love Me if You Dare will start airing weekly. Also, Shandong TV is currently filming a new drama starring Liu Tao/Jiang Xin/Yang Zi/Zu Feng/Wang Kai/Jin Dong, so there’s something else to look forward to! Woohoo! That’s a daily dose of goodness. I don’t mind good dramas back to back! For the new Shanong one, do you by chance have the Chinese name of the drama? He kind of serves as the comedic relief to the more somber drama, and I don't think Fei Liu was ever important plotwise, so the change in character works.